1. Dan I Locks – “Never ride with the devil”- Vocal version. 2. 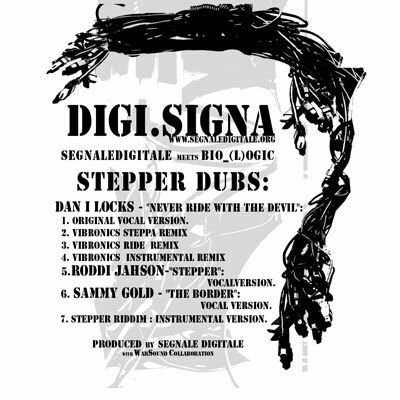 Dan I Locks- “Never ride with the devil”- Vibronics Steppa remix. 3. 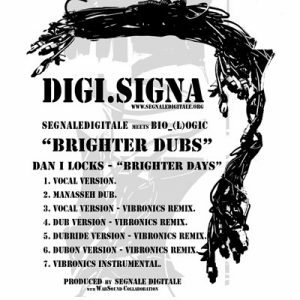 Dan I Locks – “Never ride with the devil”- Vibronics Ride remix. 4. Dan I Locks – “Never ride with the devil”- VibronicsInstrumental. 5. Roddi JahSon – “Stepper”- Vocal version. 6. Sammy Gold – “The Border”- Vocal version. 7. Stepper riddim – Original Instrumental version.